Designed for network video recorders, this hard drive also comes in an AI model with support for frame recognition streams. Hype aside, it’s simply a very fast hard drive. 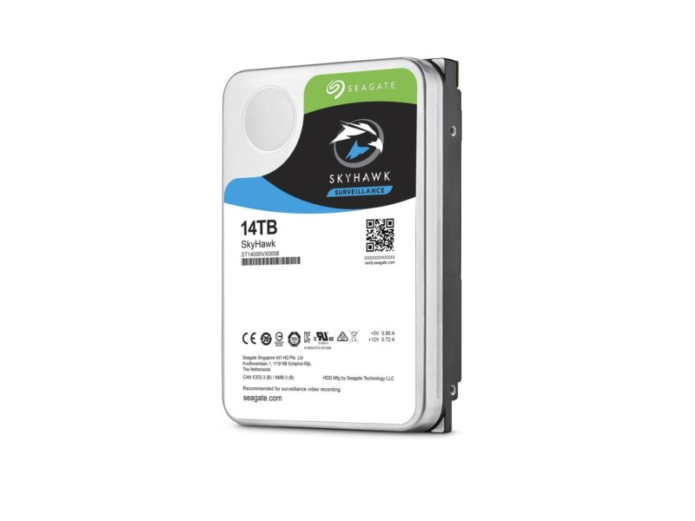 Ever in the pursuit of top performance, Seagate has recently released the $510 SkyHawk and announced the SkyHawk AI 14TB drives. These employ the same basic technology found on the the IronWolf, IronWolf Pro, Barracuda, and Barracuda Pro, but are optimized for heavy-duty surveillance work where multiple cameras (up to a whopping 64, though frame rates weren’t mentioned) are streaming to the hard drive. The goal being to drop nary a frame. One would hope.